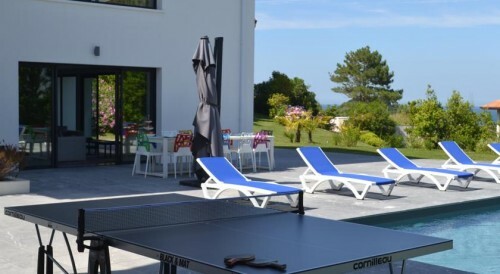 The holiday residence Pierre & Vacances Eguski is located in the centre of St Jean de Luz, facing the Ducoténia park, 100 m from the pedestrian streets, 400 m from the beach and close to the Jaï Alaï. Air-conditioned apartments from 4 to 6 persons, bathroom, kitchenette, TV, balcony or terrace and lift. The residence la Réserve is overlooking the ocean at the pointe Ste Barbe. 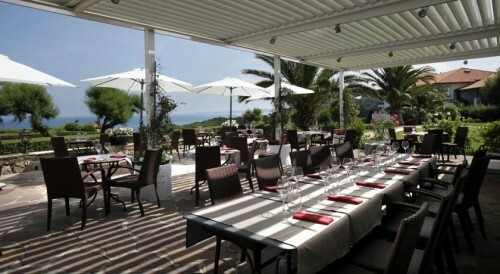 3 hectare park, a heated overflow swimming-pool, a tennis-court, a sauna and a restaurant offering a panoramic view. The apartments from 2 to 7 persons with kitchenette and TV have a private terrace. 15 mn walking to St Jean de Luz centre, the beach and watersport centre. The holiday residence Iratzia is 400m from Erromardie beach , 2,5 kms from St Jean de Luz centre. Furnished apartments from 2 to 8 persons with balcony or terrace. 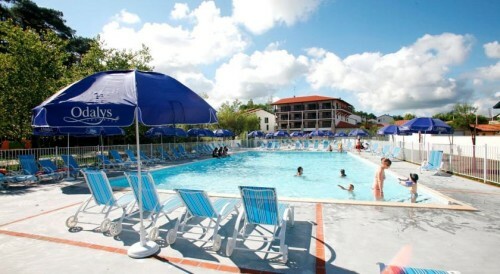 Outdoor heated swimming-pool, restaurant with terrace, fronton, parking. 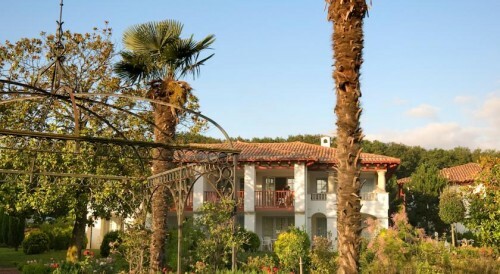 The villa Choriekin is located 200 m to the ocean. Houses with flat screen TV, bathroom with shower and hairdryer. Somme rooms enjoy a sea view balcony. Continental breakfast on the morning. Garden, swimming-pool, parking, pets allowed on demand.